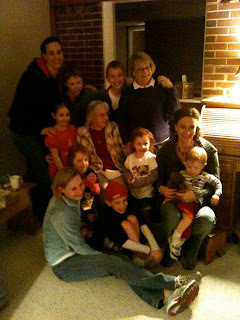 What a blessing ... my grandmother (mom's mom, 93.5 years) my mom, the three sisters ... the grandkids, 4 boys, 3 girls. Amazing to see the family grow .... PRAISE THE LORD! A beautiful family, Beth. :) Precious moments with your Grandma- glad you're documenting all of them!